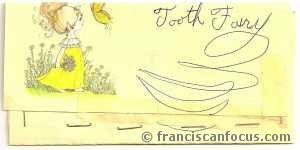 Franciscan Focus: Dear Tooth Fairy: Gimmie, gimmie, gimme! 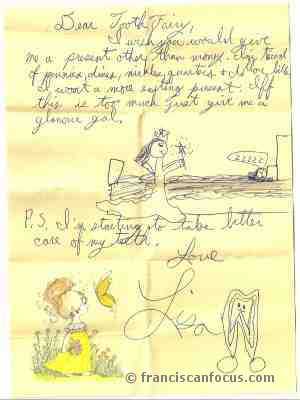 As kids, most of us wrote letters to Santa, nothing unusual about that. 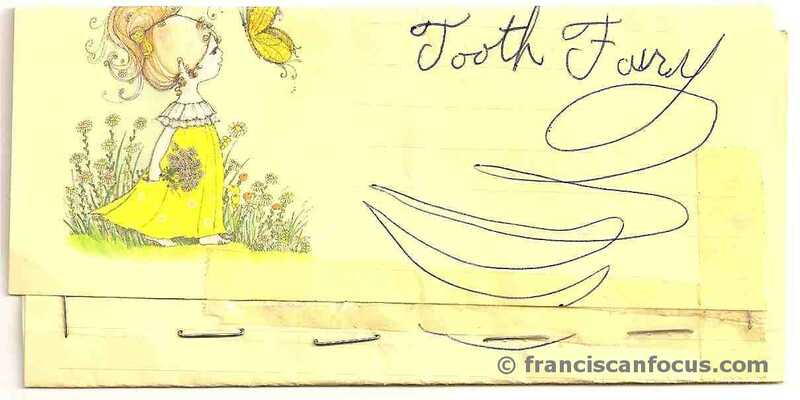 But, did anyone ever write to the Tooth Fairy? I did, though I'd forgotten all about it until a few years ago, when Husband Mike found the letter while we were cleaning out my mom's house. And ... it's Mighty Embarrassing how demanding I was. 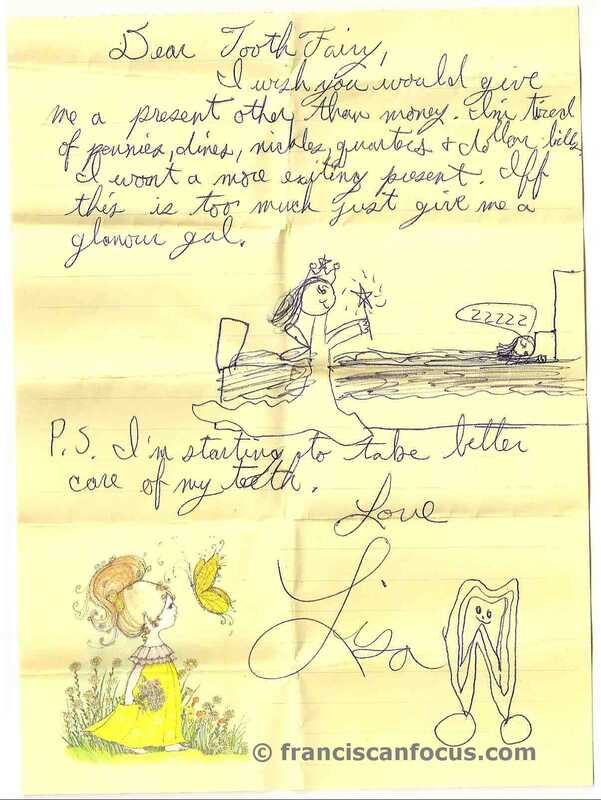 Though, in my defense (such as it is), I was 10 years old when I wrote it, and I think that by then, I strongly suspected that Mom/Dad were actually the Tooth Fairy. Handmade envelope; staples aplenty! Guess I didn't think tape was secure enough. Nice, flourishy touch with the "Y", eh? In case you're wondering what in heck a "Glamour Gal" is, the Glamour Gals were small-sized fashion dolls that I was totally gonzo over as kid. And no, I don't think my letter worked. Yes, little Lisa, who needs all that boring money? Especially now that you're taking better care of your teeth? You can win people over with your smile!